Friday, April 10, 1914: Went to Watsontown this afternoon. Don’t have a new hat for tomorrow. Well, you see it will be Easter, that’s why. Oh, I don’t mean tomorrow; I mean the day after tomorrow. Whew, another ambiguous diary entry. . .
Did Grandma buy an Easter hat when she went to Watsontown. . . or didn’t she? Posted on April 10, 2014 April 10, 2014 by SherylPosted in Fashion, HolidaysTagged 1914, hats. My mother used to enjoy wearing a new hat to church at Easter and looking round to assess who was wearing what. I’m sure your grandmother did the same. Competition would be rife! I can also remember the importance of looking nice of Easter Sunday when I was a child. I never really thought about it, but you’re absolutely right, people did complete with each other to see who had the nicest outfits. An aside–somehow this makes me think of the mink stole that a businessman’s wife often wore to church when I was a kid. We were still buying new hats for Easter when I was a kid. I can also remember wearing a hat on Easter when I was small. Hope Helena did get a new hat. Thanks for sharing the Easter Parade lyrics. What a great song! It wonderfully provides a sense of the importance of Easter bonnets years ago. Ladies wore hats to church when I was growing up – and little girls wore them on Easter. Perhaps Grandma was looking forward to Sunday, since she was “a day ahead of herself”! It was a mixed bag at the church I attended as a child. 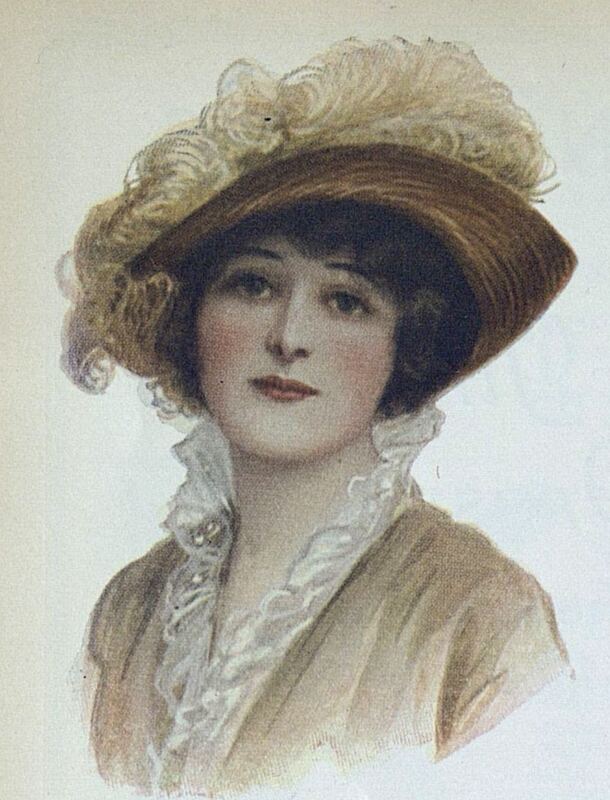 Some women still wore hats; others didn’t–though most women and girls probably had a hat on Easter. No new hat?! That just seems wrong–that was important aspect of Easter, getting the new outfit and hat! I tend to think that she just didn’t use precise wording when she wrote this entry, and that she got a new hat. . . though there’s no mention of a new outfit, so maybe she was going to have to wear an old dress. Have you read the children’s book Go Dog Go? Thanks for the reminder. It’s been a long time since I’ve read that book. Based on previous diary entries, I think that stores were open on Saturday back then. I’m glad you liked the hats. I like them, too. 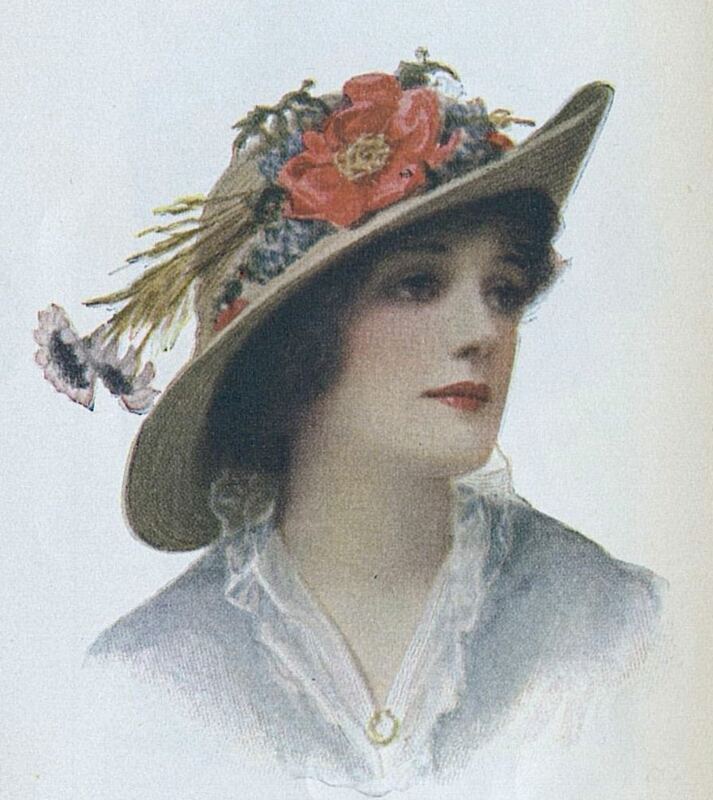 Gorgeous images of hats back in the day!! I remember getting a flower bedecked headband one Easter Sunday when I was a child. Oh, I just thought it was the coolest thing! I bet that you looked adorable in the headband. Your comment reminds me of how much I liked fancy headbands when I was a kid. I remember my Mom talking about the importance of an Easter hat. Hopefully Grandma got a nice one. The hat sounds lovely. . .and, I bet that you looked adorable in it. Too bad we gave up hats. My cousin remembers sitting behind my sister and me in church. Our big hats blocked her view. I gave my collection to the local high school theater department. What a fun memory! It’s nice that you found a home for your old hats. By the time I was your grandmother’s age my aunt had moved to Florida and we stopped dressing up for Easter. It just wasn’t the same after that. Your Easter memories are wonderful! It brings back memories of white patent leather shoes I had. (I always seemed to get scratches on them.) The egg hunt sounds like a lot of fun. I hope your Grandma did buy a hat on her trip to town. Easter “bonnets” were all the thing and getting all dressed up for Easter was one of spring’s happy pleasures. Thanks for letting me know. I’m honored that you liked it enough to reblog. They had some nice hats, and wore them in style. My mom always had us wearing easter hats, a tradition you see less of in modern times. These hats featured are lovely! Styles change, and the clothing that people wear to church–even on Easter–has become so much more casual over the years. 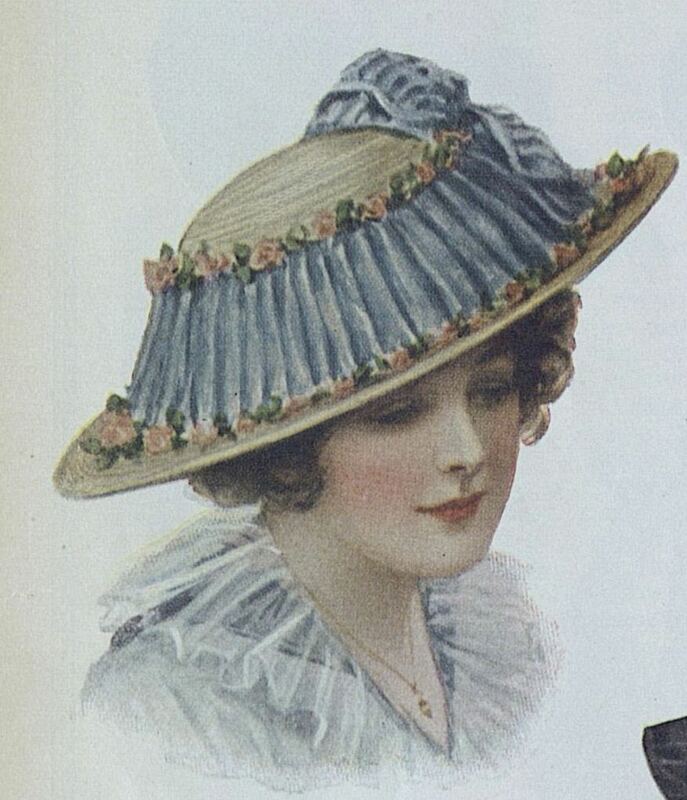 What a lovely post – made me think of the hats my mother got me for Easter when I was a child…not as fancy as the selection you’ve found though! I’m glad you liked the post. It’s fun to remember that hats and outfits we had when we were kids. “in your Easter bonnet … ” I remember walking around Lake Compounce in Bristol, CT, with my High School boyfriend singing that song on Easter Sunday., wearing my new spring coat, he in one of those nice clean smelling outdoor-dried, white shirts, hand-ironed by his mother. OK. May the writers among you forgive my complex run-on sentence. What a memorable Easter! I love it. You’re a wonderful writer.The description really draws me to the story. Thanks for your kind comment. Yes, it really was a memorable Easter. Years later he and I, and his wife, were still friends. In photos of my grandmother and her friends from those years, they are wearing hats so similar to the ones in those photos.